Want to know more about The Plaster House and how you can make a difference? Contact us today! 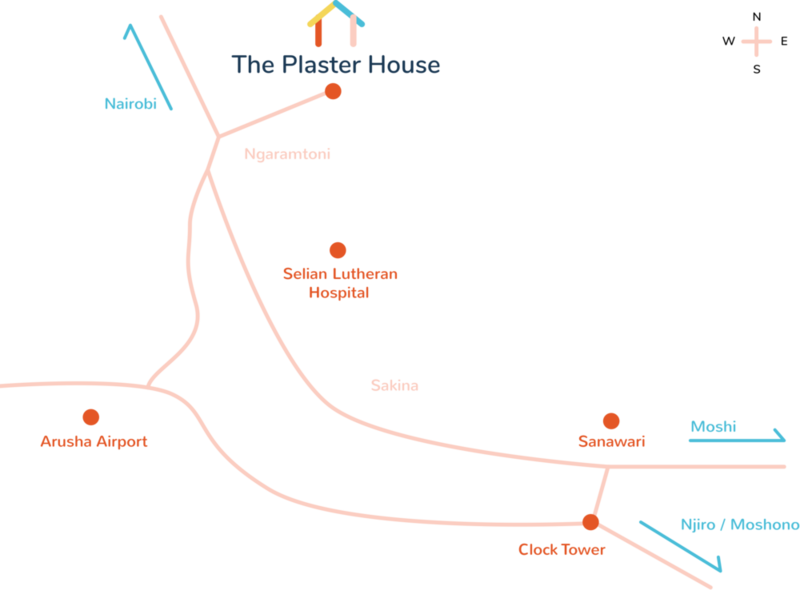 Please contact us at admin@theplasterhouse.org if you have any queries. Drive 10.2kms from Sanawari Junction towards Nairobi. Take a right at the ‘Police Post’ sign in Ngaramtoni to where the data data stand is. Drive 2 kms along the dirt road until you see The Plaster House Sign on the right. Turn right and follow the road to the end and you will find The Plaster House.